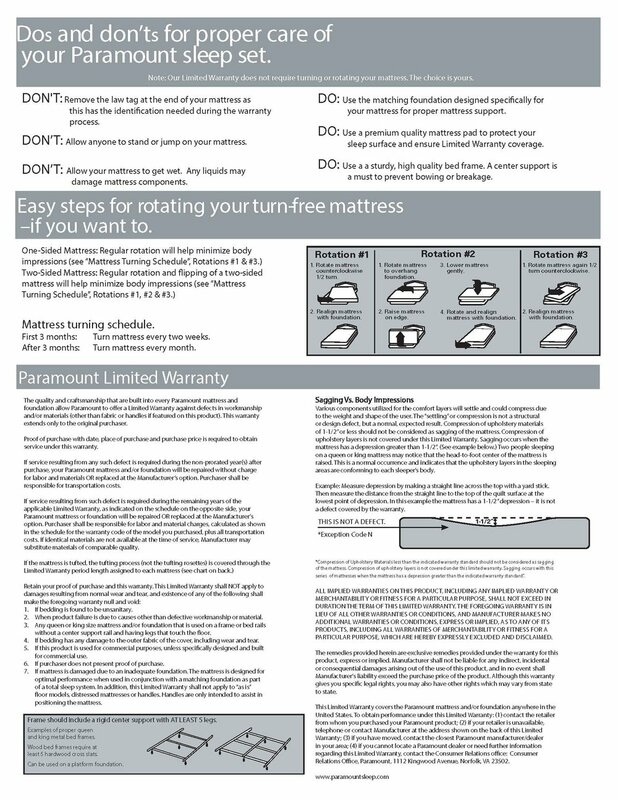 Paramount Sleep offers a limited warranty against defects in workmanship and/or materials (other than fabric or handles, if featured). This warranty extends only to the original purchaser. Proof of purchase with date, place of purchase and purchase price is required to obtain service under this warranty.